You’ve got a gift to buy. But just not any gift, one for a numismatist (a.k.a., a coin collector). Before you rush out and just buy any old coin, realize that coin collectors may be particular about what they want in their collection. So it’s best to do a bit of research before making your purchase. Thankfully, we’ve done that for you (you’re welcome). 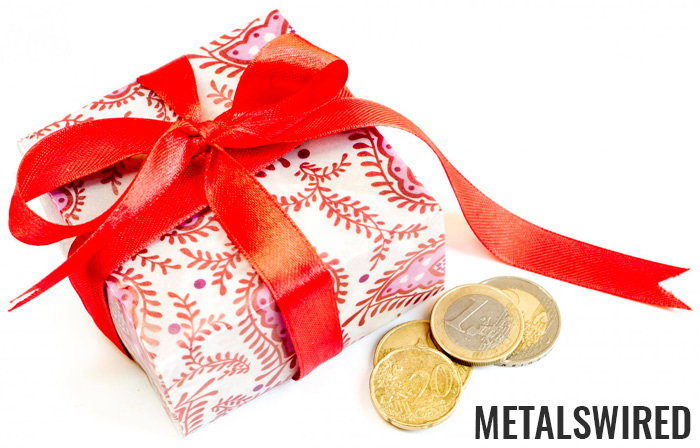 Below we’ve listed some essential gifts for the coin collector in your life. If you’re not sure what coins your collector might want, you can’t go wrong with coin collector supplies. Even if it’s something they already have, supplies don’t last forever, so a backup item will be appreciated. You can’t go wrong with a book about coin collecting, and the Guide Book of United States Coins, also called “The Red Book,” is one of the most coveted. Another good option is one of the 100 Greatest series of coin books. Although some beg to differ, you really can’t go wrong with a gift card. Especially when you’re buying a gift for a hobby that you don’t know much about. Contact a local or online coin dealer to purchase a gift certificate or store credit. Any coin collector would love the opportunity to pick out exactly what they want. Mint Set or Proof Set: Buying a coin collector a set from an important year in his or her life, like a birthday or anniversary, is a great way to personalize a gift. Prices for a mint set or proof set can be anywhere from a few dollars to several thousand dollars. And what if the coin enthusiast you’re buying for is a child? We’ve got great ideas for young coin collectors, too.